Our school motto: Soaring to Success! Celebrate their talents and uniqueness whilst engaging in an irresistible curriculum, independently and successfully. Be prepared for their future with a ‘can do’ attitude. Inspired, proud, adventurous, happy, creative, optimistic, a team player, resilient, kind and friendly and fabulous! 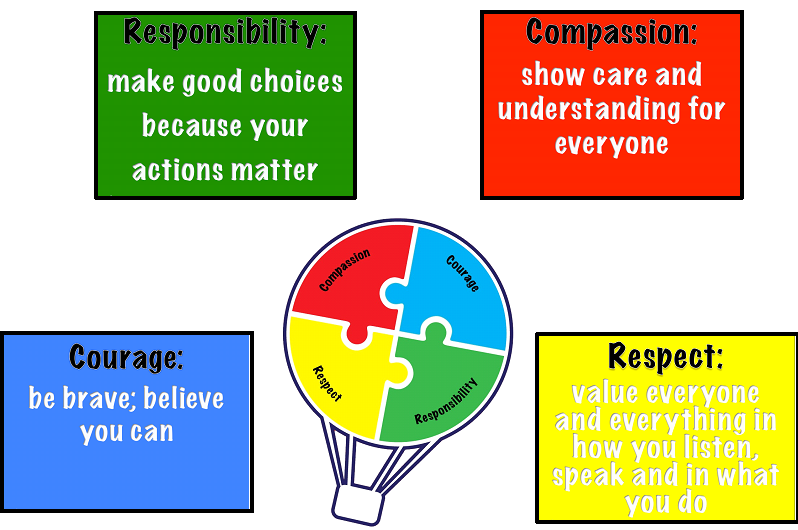 Our school aims to help them to achieve this each and every day. Our vision and four core values are at the centre of everything we do. They underpin our teaching and learning, and provide an environment which prepares our pupils as confident, happy citizens. Our Academy Trust Motto is “Today’s Children; Tomorrow’s Future” and acts as a constant reminder of the significance of the role of educators. We are committed to a self-improving system, which focuses on ensuring our pupils are well prepared for their futures. We practice principles of empowerment, shared leadership and collaboration. We are committed to working in partnership with other schools and organisations to develop and share excellence.